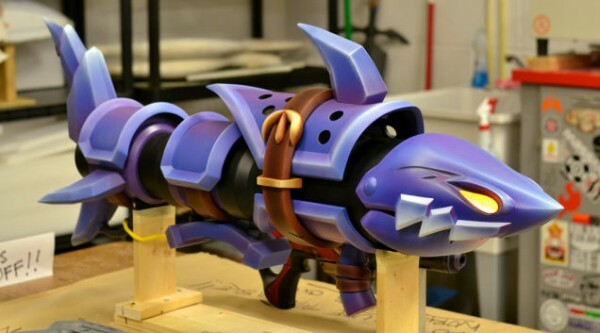 Life-Sized League of Legends Shark Gun « Adafruit Industries – Makers, hackers, artists, designers and engineers! 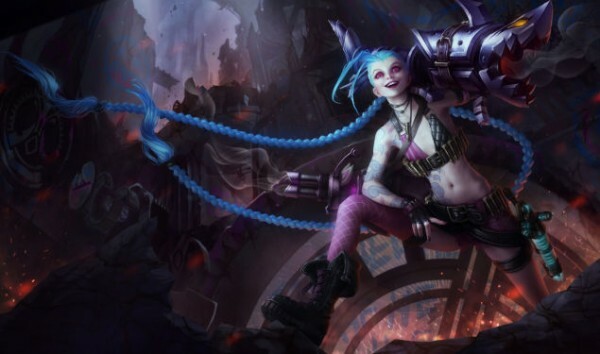 In League of Legends, the champion Jinx wields a rocket launcher called Fishbones. It looks like a shark, and propmaker Harrison Krix of Volpin Props made a life-size replica of the gun that looks like it’s right out of the video game. The build started with a block of green foam that Kris carved into shape. He used a dremel and chisel to form the sharp teeth. The head and jaws alone went through several steps of shaping and being smoothed with filler material like Bondo. When they were prepped, they were put into molds. Hard to photograph black on black, but these are the pushrods that transfer movement from the upper to the lower jaws. 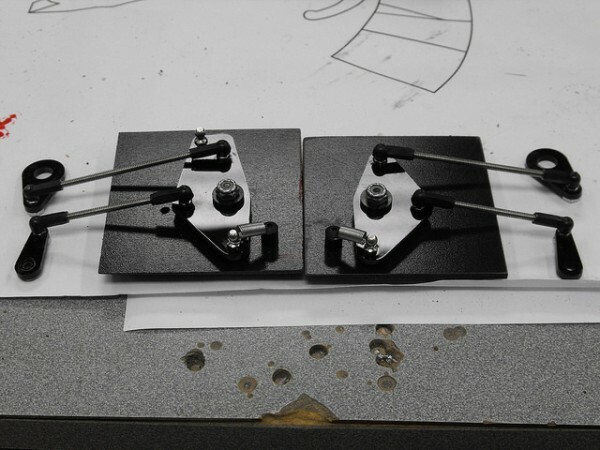 The one on the left has an additional attachment for the rod which will connect to the hand lever in the handle that will eventually articulate the mouth in the final assembly. You can see over a hundred in progress photos over at Volpin Props’ Flickr.